Binoculars have come a long way from the days it took time to find objects and then had to get them in focus and in view. When looking for wildlife the animal had generally moved by the time you were able to spot the animal and get them in focus. Advances in technology have provides longer range binoculars with clearer images. 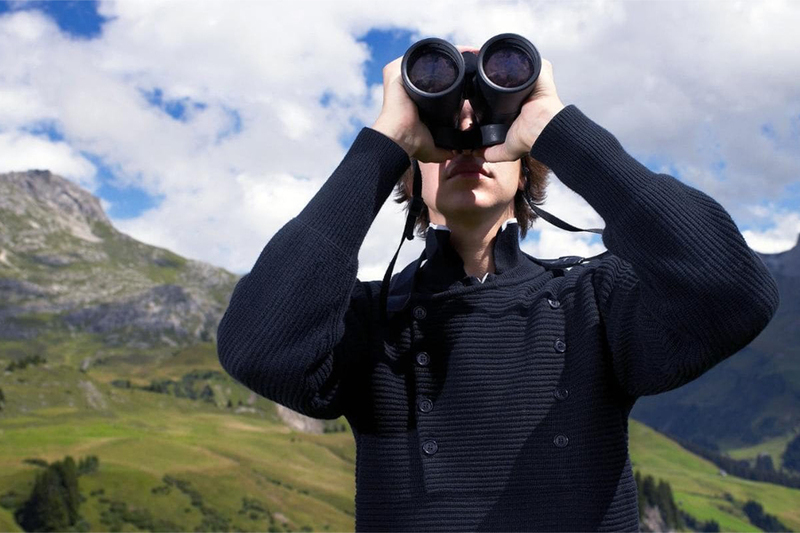 Faster focusing and lighter weight designs have brought in a whole new audience for binoculars. We have tested the latest and greatest technology and discovered that getting a new pair of binoculars with the newest technology has many more applications than the traditional binoculars, all at much lower prices. We have selected the best and most cost effective binoculars to provide you with a pair that will give you years of use and excellent operations. The Bushnell-Waterproof-Fogproof-Prism-Binocularis 100% waterproof. 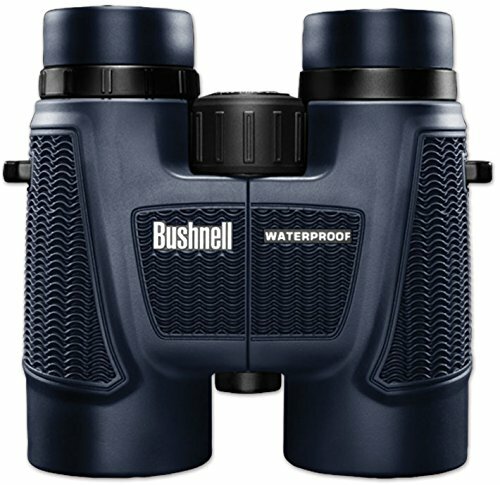 Bushnell waterproofs these binoculars using a nitrogen purged and O Ring sealed to create a waterproof and fog proof lens. No matter how wet the lens gets, it will not damage the binoculars. These are great for taking on the water or in a boat. It comes with BaK-4 prisms and multi coated optics which improves the light in the binoculars allowing you to see objects clearly. The exterior is rubber and non-slip. It has a soft texture grip for easy handling and a firm grip. The exterior material makes the binoculars absorb shock in the event the binocular is dropped. Magnification is 10X with a 42MM diameter. 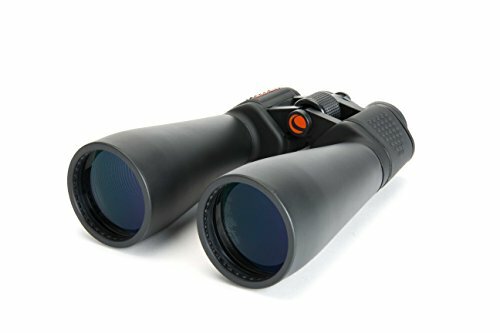 Whether you are hunting fishing or bird watching, these binoculars will provide a clear view with the ability to see wildlife in her natural elements. The binoculars have twist up eyecups for a clearer view. The Bushnell-Waterproof-Fogproof-Prism-Binocular comes with a limited lifetime warranty. The Celestron-SkyMaster-Binoculars-Tripod-Adapter features multicoated optics and BAK-4 internal prisms. These features allow you to see brighter images and have a clearer view when looking through the lens. With the 10X viewing you can see great distances clearly. One thing that makes the Celestron-SkyMaster-Binoculars-Tripod-Adapter unique is that you can attach it to a tripod for steadier viewing. This feature is very useful when you will spend a lot of time outdoors. The Celestron has a large aperture. This creates a binocular that is great in low light settings making a great pair of binoculars for stargazing. It also has a 13mm long eye relief. This feature is very useful for owners who wear glasses. 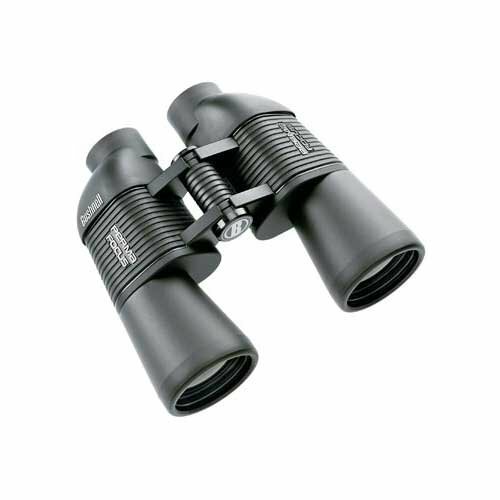 These binoculars have long range viewing which makes them a great binocular for viewing the stars and night sky. It is also lightweight enough to be used to hunting and spotting wildlife. The Bushnell-Perma-Focus-10×50-Binocular is also available is sizes 7X50; 10X50; 12X50; and 7X35. The Bushnell binocular offers focus free viewing. There is no need to constantly adjust the binoculars so you can see the objects clearly. The Bushnell-Perma-Focus-10×50-Binocular does the focusing for you allowing you to view wildlife, watching sports events and see long distance automatically. The optics in the Bushnell binoculars allows you to see crisp and clear images instantly. The outer body has a rubber soft grip that provides comfort when holding the binoculars for a long period of time. It also absorbs shock in the event that the binoculars are dropped. The Bushnell-Perma-Focus-10×50-Binocular offers fully coated optics which increases the brightness and the light transmission. This allows you to have clearer viewing even in dark settings.